The BJP national president in an interview with TNIE underlined that the party would contest general elections in alliance with the Shiv Sena. Dropping hints that a new National Democratic Alliance could emerge after the Lok Sabha elections in 2019, Bharatiya Janata Party president Amit Shah said alliances change before and after every election. 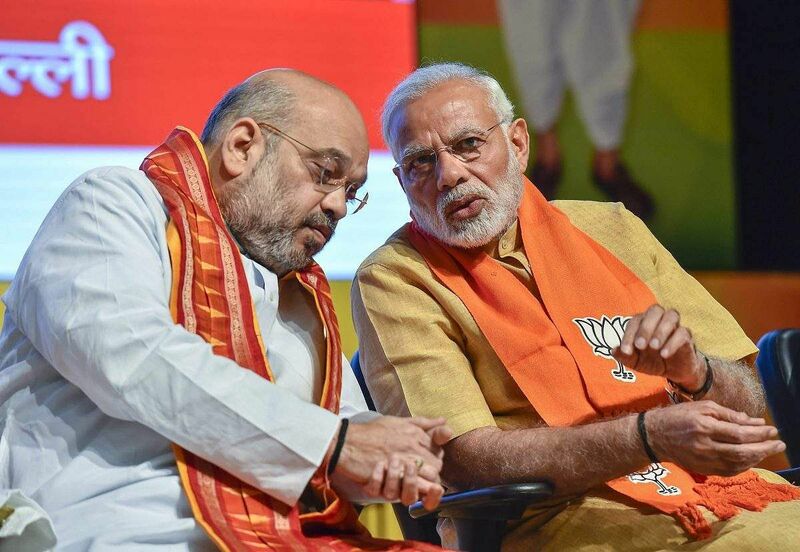 In an interview to H Khogen Singh and Manish Anand, Shah, however, underlined that the BJP would contest general elections in alliance with the Shiv Sena. The BJP chief said 22 crore beneficiaries of schemes of the Narendra Modi government would take the BJP past 300 mark in the 2019 Lok Sabha elections, a claim he has made before also. 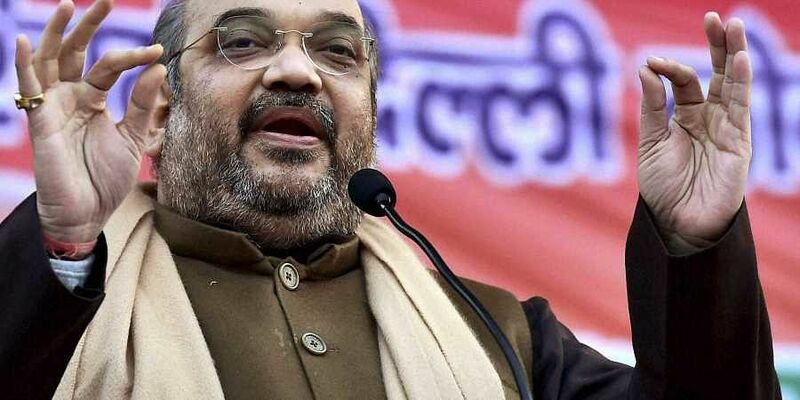 Shah said the contentious issues of Ram temple, Article 370 and Uniform Civil Code continue to be the core agenda of the party but said they cannot be implemented because of the lack of numbers in Parliament. What do you make out of the July 20 no-confidence motion moved by the Opposition against the Narendra Modi government? The constitutional conventions lay down two criteria for the Opposition to bring a no-confidence motion against the government. First is the scenario where the ruling party is seen lacking in majority in the House, and consequently the government loses the legitimacy to stay in power. Second is a situation when there is a big unrest among the people because of which there is a largescale people’s movement in the country affecting the law and order. In such a case, despite the government enjoying majority, the Opposition can bring a no-confidence motion in order to raise the people’s voice in the House. But neither of the reasons existed (against the Modi government). The NDA got 110 more votes than the half way mark in the Lok Sabha. Besides, the Opposition during the debate couldn’t bring to the table even one issue which could have suggested that there was popular unrest. In fact, the Prime Minister, Home Minister (Rajnath Singh) and others put forth our views, which were heard across the country. We succeeded in percolating our views to the people on the ground. 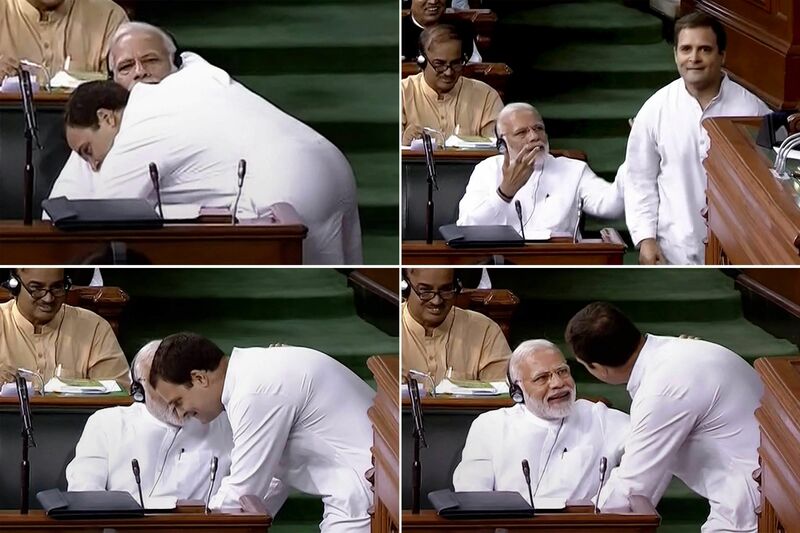 How do you view Congress president Rahul Gandhi outreach to the PM with the hug? The jhappi-pappi that Rahul Gandhi tried to do in the end of his speech, I think, has not been accepted by the people of the country. Rahul diminished the dignity and the position of the Prime Minister, besides the decorum of Parliament. When Rahul embraced the Prime Minister, do you think it presented the ruling party with an opportunity to strike a healthy democratic dialogue with the Opposition party? There can be a healthy dialogue without embracing also. The Opposition can seek time with the Prime Minister and meet him over tea. The Prime Minister has called (for such meetings) in the past. But when you’re determined to indulge in politics only nobody can help you. There’s no need for such an embrace. Do you apprehend any scope for anti-incumbency in the year-end Assembly elections in four states viz. Madhya Pradesh, Mizoram, Chhatishgarh and Rajasthan since the BJP is ruling in three of them? I think the media hasn’t scientifically analysed the anti-incumbency term. There can be no government against which there are no grievances. But the good work of the government creates a new vote-bank which neutralises the ones who are unhappy. Even the last time (2013 Assembly elections), it was said that the BJP has been ruling in MP and Chattishgarh for 10 years. But we returned with a bigger mandate. The same was said about Gujarat as well. The positive vote bank created by the good work of the government nullifies the anti-incumbency factor. Could you give some examples of the good work done by your governments in states? There are many of them. The average agricultural growth rate of MP is 12 per cent while the same for India is four per cent. Under the UPA government the average agricultural growth was minus 4 per cent. This agricultural growth rate for the past 15 years, I think, is a big achievement. In every field, MP has shown progress be it construction of road, power production or per capita consumption. Can you say the same for Rajasthan as well? There has been good work in both Rajasthan and Chhattisgarh. My office can provide you details if you want to do comparative analysis. It’s not like that. There was a Congress government for continuous 35 years in Rajasthan. But why does Rajasthan and Alwar in particular continue to report cases of lynching in the name of cow protection? Cow lynching is an issue that existed under the UPA also and continues even now, it’s not a new issue. We have not taken them lightly. The media is free to independently analyse each incident. 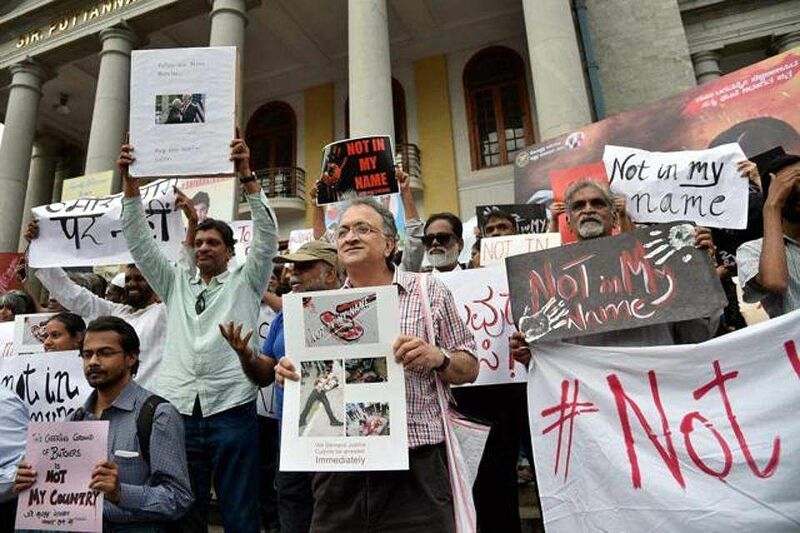 We’ve identified the accused and slapped Section 302 IPC against them, besides jailing them. There’s not even one instance of bail for an accused. We’ve even filed an appeal against a bail like the one in Ranchi. In fact, we have been successful in getting the accused convicted within a year. The government should be cornered when there’s an attempt to cover up such incidents or the rule of law doesn’t work. Do you think that the year-end state elections will set the trend for the Lok Sabha elections? Each election gives a trend. We won in Maharashtra, the Congress went away; we won in Haryana, the Congress went away; we won in Kashmir, the Congress went away; we won in Jharkhand, the Congress went away; we won in Assam, the Congress went away; we won in Manipur, the Congress went away; we won in Meghalaya, the Congress went away; we won in Nagaland, the Congress went away; we won in Himachal, the Congress went away; we won again in Gujarat and Goa; we won in Uttarakhand, the Congress went away; we won in Uttar Pradesh, the Samajwadi Party and Congress both went away. All this put together will determine the trend (for the Lok Sabha elections). The AIADMK voted in favour of the government during the no-confidence motion while the Biju Janata Dal and the Telangana Rashtra Samiti staged a walk out, which indirectly helped the ruling NDA. Do you see a scope for new allies in the NDA? See, alliances change before and after each election. This time also it will happen, it is not a new thing as the country has seen it happening in the past. As far as their (AIADMK, TRS, and BJD) support is concerned, it was because there was no strength in the no-confidence motion. How could anyone have supported the motion? So, the BJP is geared up for Modi vs all polls in 2019? Prime Minister Narendra Modi is a highly popular leader. Under the leadership of the Prime Minister, the BJP will register a much bigger victory in the 2019 Lok Sabha elections. He commands huge popularity on the global stage as well. Is there any possibility of the BJP striking any sort of understanding with the YSR Congress in Andhra Pradesh in the run up to the Lok Sabha elections? There is no such talk from our side as of now. Will the BJP continue to sit in the Opposition in Karnataka till the Lok Sabha elections? There are too many contradictions within the Karnataka government which have been surfacing at regular intervals. Sometimes the Chief Minister (H D Kumaraswamy) has to cry in public. Sometimes he also has to say that he’s the chief minister with the blessings of the Congress and not the people of the state. I think the overwhelming contradictions in the coalition will not allow the state government to last too long. We don’t have any role in this. Are you going to make attempts to form government in Jammu and Kashmir? Will the J&K Assembly contin ue to remain in suspended animation? If a group of political parties put together the required number and approach the Governor there could be a change. The Governor had called all parties in the state but none of them staked claim to form the government following which President’s rule was imposed. Union Minister Ram Vilas Paswan has set a deadline of August 18 to change the NGT chairman Justice A K Goel, who had issued the order that was seen to have diluted the SC/ST Protection Act. Do you think that the NDA plot in Bihar is not yet settled? How can you assume that two political outfits will not have independent views? We’re working under a common agenda. Their view is different from ours but we have a common agenda to run the government. It doesn’t mean both the parties will have the same views on all issues. I’m talking about the NDA alliance only. We’re working on the minimum agenda. It doesn’t mean that both the parties would have common views on issues. Dalit organisations have again given a call for Bharat bandh on August 9. What do you think is the reason behind Dalit agitations and what the government should do? Whenever elections approach Opposition try to fuel agitations. The Bharatiya Janata Party government under the leadership of Prime Minister Narendra Modi has done a lot for Dalits. The biggest beneficiaries of government schemes to economically empower the poor in the country are the Dalits because they’re poor. But it’s their (Opposition) agenda to stoke confusion in the society. We’ll see to it. You’ve said on a few occasions that the BJP will win more than 300 Lok Sabha seats in the general elections. But the BJP peaked in its catchment areas in the 2014 Lok Sabha elections. So how will the figure of 300 come and from where? It will come on the TV screen, why are you worrying from now? Which region is going to help you go past the 2014 mandate? See, the eastern and southern states, besides north-east will give the BJP additional seats. We’re now occupying the Opposition space in (West) Bengal and Odisha. We will gain in Telangana and Andhra Pradesh also. Even in Tamil Nadu our existing strength will improve with new friends in the state. Can there be an alliance with the DMK in Tamil Nadu? There’s no talk as of now with anyone. There’s speculation about the age limit of 75 years and that those who are past this age will not get party tickets for the 2019 Lok Sabha elections. This limit is not for (election) tickets, it’s only for posts (government). So will the likes of Lok Sabha Speaker Sumitra Mahajan, L K Advani, M M Joshi and others contest the next elections? I said that the age limit is not for contesting elections but for occupying posts. The BJP since its inception has been identified with three issues considered at core of the party — Ram temple, Article 370 and the uniform common civil code. But there hasn’t been any progress on any of the three issues? As far as Ram Janmabhoomi issue is concerned, the case is before the Supreme Court. I believe that the Supreme Court will soon begin hearing the case. It’s my individual opinion. The construction of the Ram temple — when and how — will depend on the judgment of the Supreme Court. Article 370 and uniform common civil code are in our agenda. But we don’t have the majority (in Parliament) to implement the agenda. Besides, there’re many other aspects in the agenda of the party, including poverty elimination and national security, which are our top most priorities. We have been able to take out approximately 22 crore people out of poverty. For instance, about 4.5 crore people got the benefits of LPG connections; 7.5 crore people got toilet facilities in their houses; 1.75 crore people got electricity connections; the work to provide houses to two crore people is nearing completion; 12 crore people have successfully been able to avail the Mudra loan without any collateral; about 12 crore children have been vaccinated; farmers have been extended one-and-a-half times of their costs as the MSP (Minimum support price) for both rabi and kharif crops; and 50 crore people in the country under the Mission Namo health care will get a coverage of Rs 5 lakh. This will be rolled out around August 15 by the Prime Minister and the blueprint is currently being prepared. So, I think it is a big achievement of the government. We’ve ensured national security. All the economic parameters are now within the four walls of financial discipline. So, the BJP will seek a fresh mandate on the basis of achievements of the Modi government? The BJP will go into the elections on the basis of the report card as explained earlier. You were asking where will we get the 300 Lok Sabha seats from. When we got 13 crore votes (in the 2014 Lok Sabha elections), the BJP won 282 Lok Sabha seats. Now 22 crore families have benefited. These families, which include a substantial chunk which had traditionally not been the BJP’s vote bank, will take us past 300 seats. So the issue in the 2019 Lok Sabha elections will be development? Media decides issues. But the BJP always goes into the elections on development plank. What’s your assessment of the Opposition unity? You tell me one thing: which political outfit was not against us in the 2014 Lok Sabha elections. Chandrababuji ke alawa sab saath the (except for Chandrababu, all fought against us). Now, Nitish Kumar is with us. What benefit will there be of Mamata Banerjee campaigning in Odisha or Tamil Nadu. Mayawati could campaign in Karnataka or Akhilesh Yadav in Gujarat, but for what effect? They are all state leaders who have been defeated by the BJP. But there could be some relevance as was seen in the 2015 Bihar elections. Votes coming together in Uttar Pradesh because of unity could be a new challenge. Yes, the Opposition unity in Uttar Pradesh will require us to work harder. But our roots are strong in UP and we are confident that the BJP will poll more than 51 per cent. Once you gear up for 51 per cent vote share battle then the alliance becomes irrelevant. Is there any scope for advancing the Lok Sabha elections or some sort of simultaneous elections by clubbing elections in seven or eight states? NDA ally Shiv Sena’s tone has been bitter. Will the Sena and the BJP contest the elections together or go separate ways? The Shiv Sena is part of the government both at the Centre and in Maharashtra. I believe that we will contest the Lok Sabha elections together.